Humans Need Not Apply is a 2014 short Internet video, directed, produced, written and edited by CGP Grey. The video focuses on the future of the integration of automation into economics, as well as the impact of this integration to the worldwide workforce. It was released online as a YouTube video. The video focuses on the topic of robots' rapidly increasing usefulness through human society, discussing how automation will lead to a future where human labor is no longer needed. Early on, an analogy is made describing how humans once displaced horses from their jobs (by creating mechanical muscles such as automobiles), dismissing the argument that humans will always find new work, seeing as horses are not nearly as much used now. This analogy finishes by connecting the creation of mechanical minds, or "brain labor", will lead to robots ousting humans out of their occupations. Grey also discusses how economics is the force behind a future based upon automation. Grey concludes by stating that 45% of the workforce could be replaced by bots, a figure which is inclusive of professional, white-collar and low-skill occupations, and higher than the 25% unemployment figure of the Great Depression. To take one specific example, the video states that there are 3 million driving jobs in the United States and 70 million worldwide. Grey further states that even creative occupations are not secure, mentioning the bot-composed music in the background of his video. 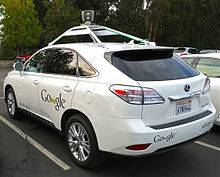 Additionally, the viewer is reminded that the video is not discussing or portraying a future based upon science fiction, using examples such as Baxter, self-driving cars (referred to as autos in the video) and IBM's Watson. The film was funded through Subbable, a crowdfunding website. Grey used this website as a means to support his projects before moving to Subbable's successor, Patreon. Humans Need Not Apply was covered by several publications, including Business Insider, The Huffington Post and Forbes. Coverage of the video complimented its presentation, calling the video "well-produced". These publications also praised its premise, calling it "thought-provoking", and "compelling", but also maintaining that the points and topics brought up in the video were "terrifying". Bruce Kasanoff of Forbes commented that the video was "sobering," and "suggests, in a convincing fashion, that many human jobs will disappear over the coming years, because automation will do them faster, better, and cheaper." After a few days of release, the video reached one million views. as of April 2019[update], Humans Need Not Apply has reached over 11.1 million views. ^ a b c d Pagano, Margareta (August 17, 2014). "Humans need not apply: The future of jobs is robot-shaped". The Independent. Retrieved August 23, 2014. ^ Griswold, Alison (August 15, 2014). "Why the Future of Work Is Doomed, in One Video". Moneybox. Slate. Retrieved August 23, 2014. ^ a b Strange, Adario (August 19, 2014). "Scary Smart Video Predicts Automation Will Make Human Work Obsolete". Mashable. Retrieved August 23, 2014. ^ a b Love, Dylan (August 13, 2014). "Not Even Doctors And Lawyers Are Safe From Machines Taking Their Jobs". Business Insider. Retrieved August 23, 2014. ^ a b Ford, Martin (August 20, 2014). "The Robots Are Coming and 'Humans Need Not Apply'". Huffington Post. Retrieved August 23, 2014. ^ Grey, CGP (August 18, 2014). "CGP Grey Crowdfunding, Year 2". CGP Grey. YouTube. Retrieved August 23, 2014. ^ "Why Robots Will Steal Your Job, In One 15 Minute Video". Huffington Post UK. August 18, 2014. Retrieved August 23, 2014. ^ a b Kasanoff, Bruce (August 18, 2014). "If 'Humans Need Not Apply,' Will All Our Jobs Disappear?". Forbes. Retrieved August 23, 2014. ^ Roggeveen, Sam (August 18, 2014). "Humans need not apply: An economic horror movie". The Interpreter. Retrieved August 23, 2014. This page was last edited on 1 April 2019, at 07:27 (UTC).